Christmas is coming… it’s the end of November, December is just around the corner and Christmas is coming fast, so today’s post is mostly to get you in the Christmas spirit. All about those crispy cold mornings, still quite sunny but the hats and scarves have come out and of course you should have started thinking about lovely Christmas pressies by now. Time for an aperitif of your favourite Christmas tipple. Join me as I have a small whiskey, mixed with more whiskey, which as far as I’m concerned is the only thing you can mix with a good scotch. Now just over 3 weeks to go till Christmas, you’re either making or already made your Christmas presents list with those electronic devices figuring highly. As we enjoy our Christmas get ready hors d’oeuvre, I thought I’d give you a helping hand with choosing a tech gift that will light up the Christmas tree with smiles. This is the mix of the top ten tech gifts based on a combination of John Lewis and Amazon Christmas tech lists. This is probably one of the most important decisions you will make for the rest of the year, so chose carefully and good luck! A word of warning. While these toys are easily made internet ready, they are mostly far more insecure technology than those we’re use to for normal domestic use. Firstly, many of these new generation tech toys encourage kids to talk to them and of course there’s no stopping kids once they start talking. The toys likewise are very willing listeners, but so too are the invisible hackers and whackers who lurk in the darkness, eavesdropping on every word. Recently, this alerted the FBI to put out a general alert to parents, advising to check internet-connected toys carefully for possible privacy and security concerns. They warn that security safeguards for these toys is often overlooked in the rush to market them and to make them easy to use. A number of kids’ toys have been found to indirectly spy on children by collecting and storing data, including audio conversations and personal information, without parents’ knowledge. The FBI goes on to say that in addition to eavesdropping toys, a number of app developers and websites have inadequate protections on accounts and data for children. Also, bluetooth-connected toys that do not have authentication requirements such as PINs or passwords when connecting with mobile devices pose a potential risk for unauthorized access to the toy and open the door to secret communications with your child. It is also possible for unauthorized users to remotely gain access to the toy if the security precautions are insufficient or the device is compromised. I would say that before buying any of these toys, you need to do your own online research for any known issues that have been identified by security researchers or in any of the consumer reports. And even after purchase, you must keep a careful watch for anything odd behaviour that may place your child at risk. Just a reminder, you don’t have to give electronic devises as gifts if you’re not sure about safety. Alternatively, if you feel you really don’t want to deprive your youngsters, and after all many of these toys actually make education enjoyable and entertaining, you should be able to talk to your children about the safety concerns. That’s easier said than done, a lot of parents don’t know how to get started on this kind of discussion. I’m therefore recommending some helpful additional Christmas presents. If you look, you will see two buttons attached to the sidebar to the left of this blogpost, showing two books I have authored to help parents and teachers open up discussion with youngsters about internet safety. 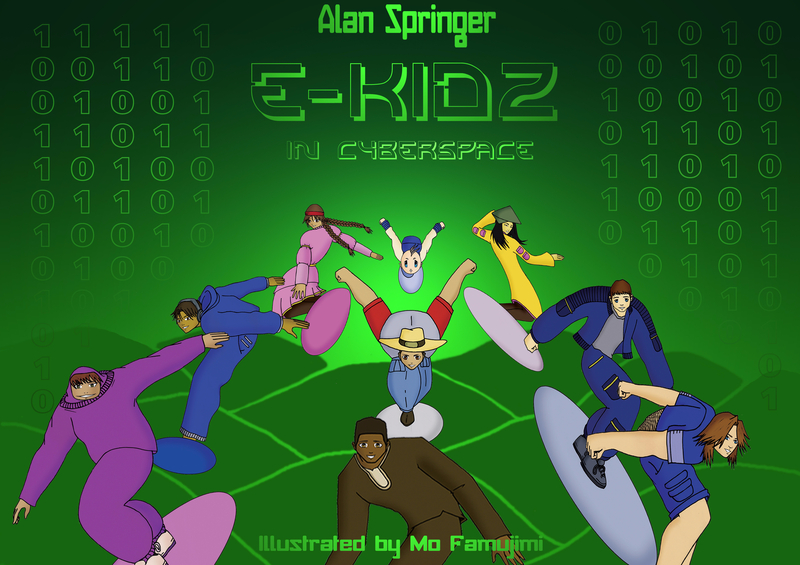 The first is a picture storybook for the 6 – 9 year olds, all about the adventures of the e-Kidz in cyberspace. It is a great story and raises the issues in a non-threatening way as part of the exciting storyline, things you can pick up on and talk about with your child. The second is an adventure novel for the 10 – 13 year olds, a great read based on the same storyline and covering the same concerns as the picture book, but obviously geared towards an older audience. In the coming year you will be able to purchase accompanying workbooks for each storybook, one with activities for youngsters based on the story and the other a parents and teachers support book to help you take youngsters through the activities. Meanwhile, you can get started on the storybook by placing one under the Christmas tree alongside that great new electronic device. Ordering is easy. Just click direct from the sidebar button and pay via Pay Pal or directly using your debit or credit card. Be assured that both methods are secure payment methods and there’s just enough time left to get yours in time for Christmas. 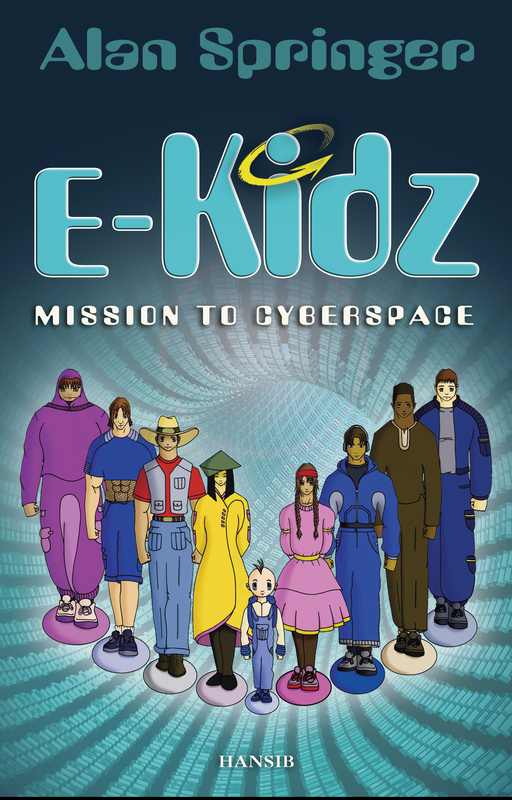 Now it’s coffee time and as you enjoy your favourite cup, I invite you to take a sneak preview of the e-Kidz books by reading this summary of the storyline. Happy Christmas shopping! See you in 2018!! !